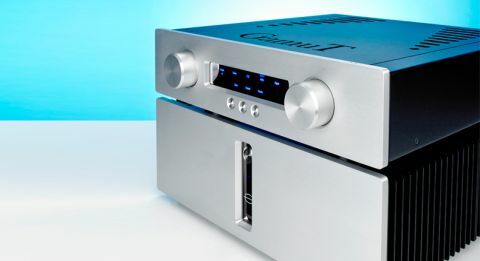 Gamut D3i/D200i Pre/power amplifier review | What Hi-Fi? Gamut: we wouldn’t be surprised if you’ve never heard of the company. It’s Danish, and started life under the Sirius brand name back in the early ’80s making amplifiers for studio use. But this is a company that has never really shouted about itself, or its products for that matter. That’s a shame, because - from what we’ve experienced - it makes some very fine components... and you can count the D3i preamp and D200i power amplifier among them. That might be understating the matter somewhat. This pre/power combination is easily one of the best we’ve heard and – while expensive – is comparable in performance to alternatives that cost Mercedes money. A high-end bargain, then? Hardly. £15,000 is still a truckload of money, but we certainly see this combination as great value as far as top-end amplification is concerned. This Gamut pre/power impresses the moment the music starts. It sounds clean, crisp and invitingly clear. Detail resolution is superb; we can’t think of a rival that tells us more about the recording. Listen to Vivaldi’s Four Seasons and the production is laid bare, but not in a clinical way. Low-level information that describes the recording venue is easily heard, making the size and type of acoustic space used obvious. The orchestra is arranged with care and precision, with the placement of instruments pleasingly secure. More than its imaging capabilities, we’re taken by the way this pairing renders instrumental timbre. It’s done in a natural, unexaggerated manner that separates the sounds of different instruments (playing in the same frequency band) with ease. We love the way the D3i/D200i combination deals with dynamics too. It has the finesse to deliver low-level variations brilliantly, yet given something challenging (Orff’s Carmina Burana, for instance) it delivers the crescendos with real intensity and force. There’s more to applaud when we play The Heist by Macklemore and Ryan Lewis. The music has plenty of drive here and a sure-footed way with rhythms. The Gamuts deliver attack when required, yet have no problem easing back with chilled-out tracks such as Same Love. We like the way this pairing handles midrange – it’s articulate and fluid in a way most other transistor-powered alternatives barely hint at. The result? Not only are Macklemore’s lyrics easy to follow but the sentiment behind them is communicated really well. Rarely have we heard deep bass notes delivered with such resolution. This pre/power has no trouble discriminating between different bass instruments or notes, nor does it lack anything in agility at low frequencies. We’ve heard rivals that produced weightier bass (not that the Gamuts are obviously lacking in this respect), but little that has so much insight in this region. Move to the opposite end of the frequency spectrum and you’ll find plenty of bite coupled to an unusual level of clarity. The combo’s excellent transparency and insight mean poorer recordings are exposed, but unlike much of the competition these amplifiers don’t go out of their way to emphasise those flaws. You’ll get an honest and balanced account of the recording. Move away from sound quality and the Gamuts remain on sure ground. Build quality is as good as we’d hope for at the price and everything feels as if it will last for years. It’s hard not to be impressed by the care taken in construction. These aren’t cheap products but it’s clear where the money has been spent. Our only complaint concerns the remote handset, a cheap-feeling unit that’s not intuitively laid out. Gamut has to do better in this respect. Don’t be fooled by the input marked ‘Phono’ on the D3i preamp. This is a line-level only unit. There are four inputs (including balanced XLR) and the usual option of either balanced or single-ended outputs. Take a look inside and you’ll find a dual-mono configuration right down to the power supplies. The idea is to ensure the two channels don’t interact unduly, something that would increase distortion and degrade the stereo imaging. The D3i is a large unit as far as preamps go, particularly when it comes to depth, so make sure your equipment support has enough clearance. The D200i power amplifier is a simple affair as far as features are concerned. It mirrors the preamp’s balanced and single-ended connections, and has two pairs of speaker outputs per channel to make bi-wiring a little easier. Under the cover, there’s another dual-mono configuration with doubled-up power supplies. Gamut’s power amplifiers are unusual in using just a single output transistor per channel rather than combining multiple transistors as in conventional designs. Why do this? The company feels the technical compromises involved in combining multiple output transistors are too great. The D200i will deliver 220W per channel into eight ohms and 400W as impedance halves. The company also claims 700W per channel into a two-ohms load, which suggests the D200i will be happy driving just about any price-compatible speaker. Should you want more, Gamut make a monobloc version of this power amplifier called the M250i, which outputs 900watts into a 2 ohm load. That should be enough for most. There’s no shortage of quality high-end pre/power combinations, but we find ourselves deeply impressed by this Gamut pairing. Its transparency and resolution are class leading and we find its fluidity quite addictive. If you want an honest amplifier that doesn’t stamp its signature on the recording too heavily we can’t think of a better alternative.